Protein shakes can be used before exercise for energy during your workouts and after exercise as part of your recovery. When you consume a protein shake can help optimize your workout to burn more calories and maintain muscle mass. For the best approach to losing weight, follow a low-calorie diet while you engage in an exercise program. You can have the protein shake before exercise as long as you don’t eat too close to your workout. A protein shake consumed right before your workout may cause you to experience stomach discomfort during exercise. Instead, you can have the protein shake as part of a meal two to four hours before your workout. Pair the protein shake with a carbohydrate option, such as a bagel, piece of fruit or serving of cereal. Within 30 minutes of your workout, take one serving of a protein shake. The advantage of consuming protein after exercise is that the nutrient will help aid in the repair and recovery of your muscles. According to nutritionist Dr. Jose Antonio from the International Society of Sports Nutrition, whey protein shakes are ideal for muscle recovery because they can be absorbed quickly into the body. The type of exercise you do will affect whether or not you need a protein shake for your workout. If you are not participating in high intensity forms of exercise or strength training workouts, you may not need the extra protein from shakes. According to “Fitness” magazine, moderate sessions of exercise typically do not need a sports supplement for recovery. Protein shakes can add a lot of extra calories to your diet. To keep the number of calories low in protein shakes, check the calorie content printed on the nutritional label. 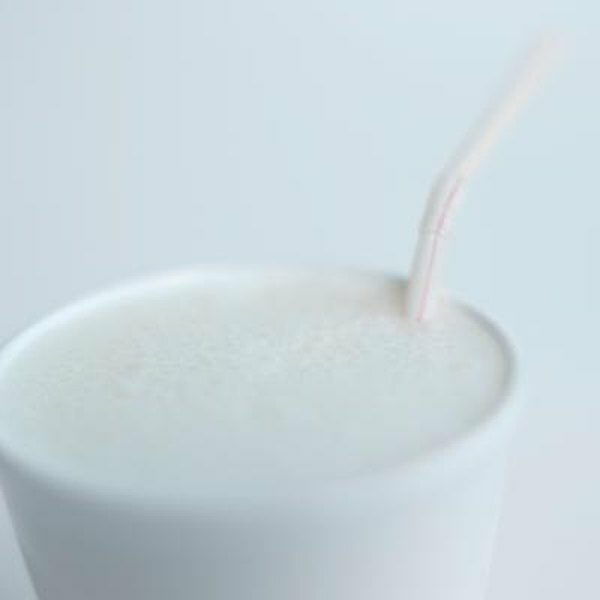 Also, if you need to prepare the shake with milk, use skim milk instead of low-fat and full fat varieties. "Fitness" magazine; Alternative Energy: Do Energy Gels and Supplements Really Work?